In this illustrated and bound 197-page book, Guurtje describes the essentials of biodynamic agriculture and horticulture: that it is not the forces of heavenly bodies that can influence something on Earth, but spiritual beings who live and act in the planetary spheres. The book gives a clear overview of who they are, how they work and how you can recognise them as you go about your daily life. These high-order angels of Christ all have an Opposing Angel who places its counterpart in the world, so that we can develop our powers of discrimination. Guurtje also describes the elemental beings of earth, water, air and fire. She sees that they have left the Earth and that everything on Earth is perpetrated by the Opposing Angels leading their deceptive spirits. If we attune and develop spiritually as individuals, we can ultimately find the path to the spiritual worlds. A highly developed spiritual consciousness is necessary to enable these new elemental beings, the order of Christ, to do their work on Earth. Taking all our actions at the right time will enable our higher consciousness to mediate between these new nature spirits and the hierarchies of angels from the planetary spheres. It is at these times that They are really present in the world ether with their powers. The separation of the Earth and cosmos is clearly expressed in this book. The situation requires an entirely new and dynamic approach. 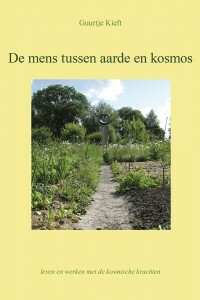 Guurtje has indexed all the constellations and translated them into the works of the angels. The book closes by discussing the new preparations for compost and manure, and adds more developments in biodynamic agriculture and horticulture.